Well done ,must have taken a lot of time and patience, once upon a time your pic would have elicited lots of admiring comments but nowadays it seems not. Hi John. Don't expect a comment when I post of the form. Post to give the Panasonic users that stop by something to look at. 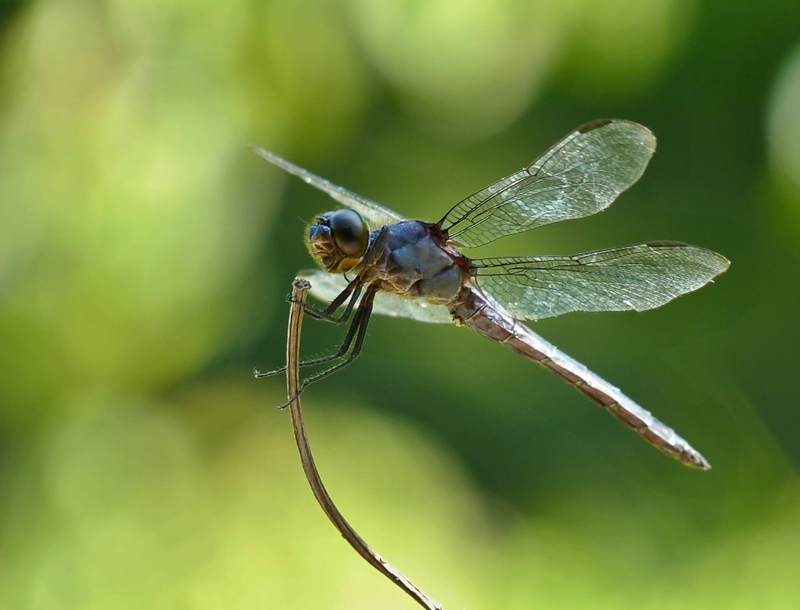 This dragonfly looks like it is trying to break the twig. Excellent picture! Lovely photo, I seem to have missed this when it was posted. A very apt title too - a little bulge at the top of the stick to resemble a mike would have made it perfect! Great going, Jim!